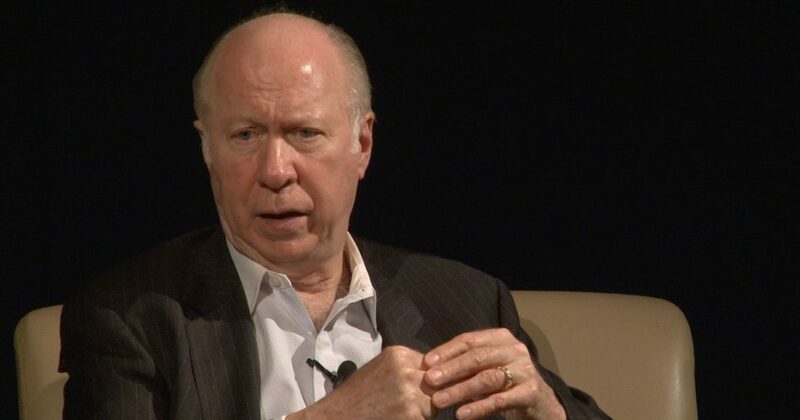 David Gergen is no squishy liberal. The CNN political analyst has worked — in order — for Presidents Nixon, Ford, Reagan and Clinton. Three of the four are Republicans. I believe Gergen calls himself a member of the GOP. But then he said something about Donald J. Trump’s speech Saturday night in Harrisburg, Pa. While commenting on the speech in a CNN interview, Gergen called it the “most divisive speech” he’d ever heard from a sitting U.S. president. Pay attention, Mr. President. One of your own has called you out. The speech was full of red meat for Trump’s political base. He made the trip to Harrisburg after deciding he wouldn’t attend the White House Correspondents Dinner in Washington, becoming the first sitting president since Ronald Reagan to skip the event. Then again, President Reagan had a good reason: He was recovering from a gunshot wound in 1981 after John Hinckley tried to assassinate him. One can expect criticism of Trump’s speech from Democrats. They’re still steamed that Trump beat their candidate in 2016. I share their outrage, truth be told, which is why I spend so much of my energy on this blog with criticism of the president. I doubt I’ll let up any time soon — if ever! That such criticism comes from a longstanding Republican — and a former key adviser to three GOP presidents, including the revered godfather of political conservatives, Reagan — gives it even more punch. Trump surely will dismiss it. He’ll say that Gergen doesn’t matter. Neither does CNN, in Trump’s view. So the war against the media and — everyone who disagrees with the president — will go on … and on … and on. Barack H. Obama delivered a speech to a Wall Street health care outfit’s annual conference. The former president plans to rake in a cool $400,000 to make the speech. As you might imagine, he’s getting some guff from those within his Democratic Party base who contend that it’s insulting for him to earn the equivalent of the annual salary he drew while he was president of the United States … with just a single speech. I also understand that the president is taking advantage of what the market will provide him for his words of wisdom. But here’s another option, which comes from Van Jones, a former Obama adviser who now serves as a contributor for CNN: Why not go on what Jones calls a “poverty tour.” It would help fend off some of the complaints the former president is getting from members of his base. Indeed, RFK famously took a lengthy tour of Appalachia before launching his 1968 bid for the presidency. Kennedy got to see up close the abject poverty that engulfs families in eastern Kentucky; he heard tales of misery and heard people’s pleas for help. And, yes, Bobby Kennedy was born into privilege. What would this do? Oh, it likely wouldn’t persuade the former president to give back the money or perhaps donate it to worthy causes. It would allow him to understand better the plight of millions of Americans who are unable to collect that kind of money just for making a speech. ‘Fake news,’ Mr. President? You, of all people, call it ‘fake’? Imagine the stones that Donald John Trump seems to be packing around. This is the guy who perpetuated the lie that Barack H. Obama was likely born in Kenya, that he wasn’t a “natural born” U.S. citizen and, thus, was ineligible to run for the presidency. He also talked about how he witnessed “thousands of Muslims” cheering the collapse of the Twin Towers on 9/11. Then he talked about how he read in the National Enquirer that Sen. Ted Cruz’s father was seen having dinner with Lee Harvey Oswald, the guy who murdered President Kennedy; Trump wondered out loud whether Cruz Sr. was somehow complicit in the heinous crime. He then accused the president of wiretapping his campaign offices at Trump Tower. Those are just four examples of the fake news he has promoted. There are other instances, too, but you get the point … I hope. Donald Trump has no business — none at all — accusing anyone in the media of promoting “fake news.” His definition of “fake news” is reporting that paints him in a negative light. 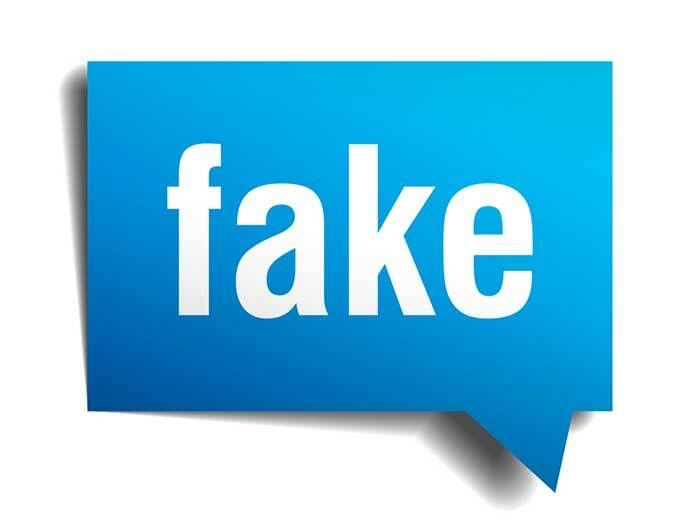 However, the term “fake” carries with it an implication that the media are reporting falsehoods. He has yet to provide any semblance, any inkling of evidence of what he keeps implying about the media. He won’t stop. He won’t relent on this hideous attack on the media. This president’s hubris plays well with those who support him, those who cheer him for “telling it like it is.” It simply makes me sick. 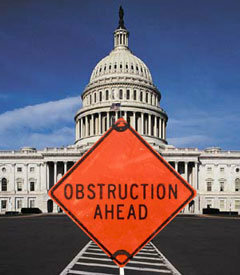 Hey Dems, don’t be obstructionists, too! I’ve spent a lot of emotional energy with this blog bashing congressional Republicans for what I believe has been their obstructionist habits as they dealt with a Democratic president, Barack H. Obama. My sense of fairness compels me to instruct congressional Democrats to avoid following their GOP colleagues’ lead as they now must deal with a Republican in the White House, Donald J. Trump. I understand that the roles aren’t entirely parallel. The GOP fought the president along every step. Republicans opposed the president’s economic stimulus package right out of the chute in 2009; they opposed the Affordable Care Act; they — along with a handful of Democrats — resisted calls for new laws on guns even after the Sandy Hook Elementary School massacre of 20 first- and second-graders. The GOP now controls Congress and the White House. What’s left for Democrats? They’re angry (a) over the way Republicans treated Barack Obama and (b) that they lost the 2016 election that every pundit in the country seemed to think was in the bag for them. Is obstructionism the way to go? No. For one thing, Democrats are operating from a much weaker position this time than Republicans had when Barack Obama took office. Still, some congressional Democrats are insisting that they intend to block the president and his fellow Republicans in Congress. They don’t intend to work with their “friends” on the other side. Some Democratic lawmakers have declared their intention is to ensure that Trump gets impeached. Government isn’t supposed to be an ideological battleground. It’s supposed to serve the people whose votes put politicians in office. There surely ought to be ways for Democrats can look for common ground with Republicans. Need they surrender their principles? Not any more than Republicans should surrender theirs. I feel as though I should remind Democrats — just as I reminded Republicans during the Obama years — that many of us out here want government to be a functioning body. We want government to enact smart legislation. We insist that members of the House and Senate hue to the principle of good government. And good government, by definition, means that it works on behalf of those of us who pay for it. A roomful of journalists and other luminaries gathered in Washington last night while the president of the United States — who usually attends this event — was up the coast a bit in Harrisburg, Pa. The White House Correspondent Dinner was spiced with lots of criticism of the president. For his part, Donald Trump decided to unload on the media, his political foes and virtually every American who voted for someone else during the 2016 presidential election. Who bears the greater responsibility to set aside the bitterness? I believe it ought to be the president. He’s the one who represents the entire country. The president’s Harrisburg speech could have been lifted directly from one of his campaign speeches. He is talking directly to his base. He is speaking to those who continue to support him despite all the questions, controversy and potential scandal that threaten to swallow the presidency. Trump vowed to unify the country. The speech last night suggested he is doing precisely the opposite. 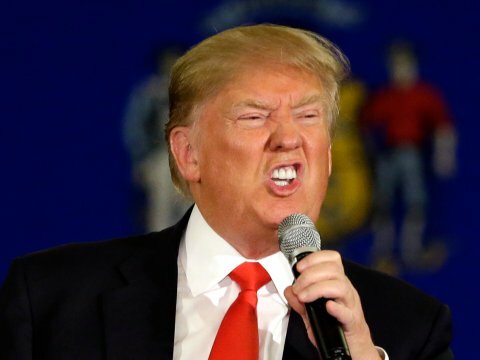 He wants to keep fomenting the anger that propelled him to power. We all understand that the 2016 campaign will go down as among the most rancorous in U.S. political history. Do the wounds need to continue festering? I don’t think so. When the president calls the media “the enemy of the American people” and when he continues to hold campaign-style rallies — while exhorting security personnel to “get them out!” when protesters show up — that does nothing to bring Americans together. The divisions run deep. The wounds still hurt. The president of the United States holds the key to bridge the divide and heal the wounds. When will he step up? The White House Correspondents Association is having its annual dinner tonight. One of the normal attendees is missing. That would be the president of the United States. Are you surprised? Me neither. 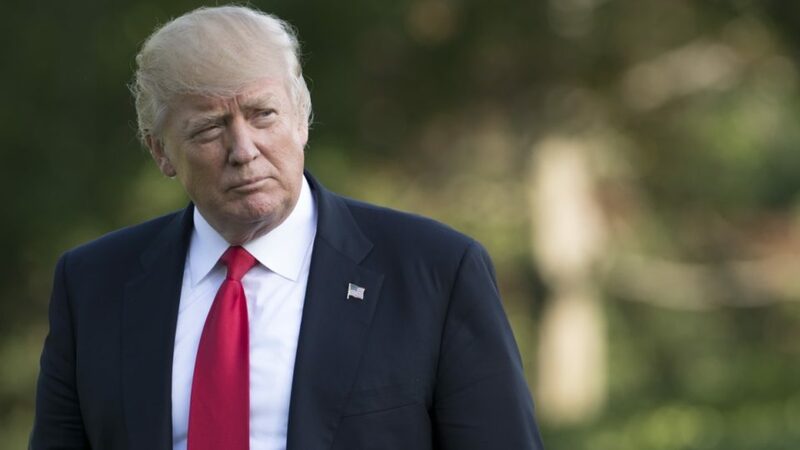 Donald J. Trump has declared the media to be the “enemy of the people.” He has accused the media of peddling “fake news.” He said just today that the media have “purposely” reported “negatively” his first 100 days in office. Did anyone really expect the president to stand before a large banquet room full of media representatives, wisecrack his way through a routine, slap a few backs as if he really harbors no ill feelings toward the media? Of course not! What the president has done, of course, is attack an institution that was guaranteed protection from government bullying and coercion. That guarantee is written explicitly in the First Amendment to the U.S. Constitution. That has not mattered to the president, who has banned certain media outlets access to his administration and scolded certain media members harshly in public for allegedly reporting falsehoods. How ironic it is. You’ll recall that in 2011 Trump — then just a mere real estate mogul and reality TV celebrity — sat among the media at a White House correspondents dinner. 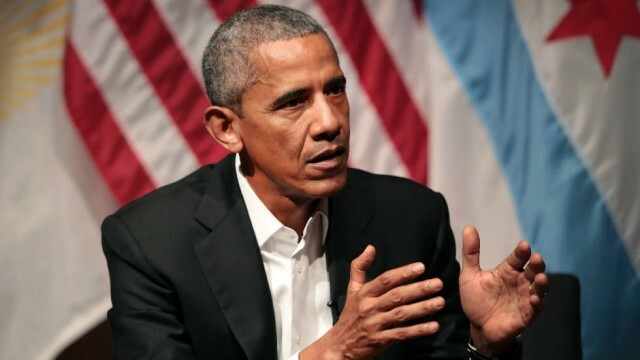 That was the event in which President Barack Obama poked fun at Trump, needling him for promoting the “fake news” about the president’s place of birth and assorted other mistruths. He did all that, by the way, on the same day he ordered the CIA-Navy SEAL operation that resulted in the death of Osama bin Laden. Hey, maybe Donald Trump believes Barack Obama’s act is too difficult to follow, given the former president’s impeccable comic timing. Nah, probably not. Maybe the president will bury the hatchet with the media and recognize publicly that the media have a job to do, which is to hold public officials — including the president of the United States — accountable for their actions and decisions. Scott Pruitt has wasted little time in making his imprint on the Environmental Protection Agency. The EPA director has ordered the removal of the “climate change” link on the agency’s website. That’s right. There’s no mention now of the planet’s changing climate, apparently because Pruitt doesn’t believe it’s occurring, or that it’s somehow part of nature’s cycle that cannot be manipulated by human activity. This is a clear and present danger to our world. 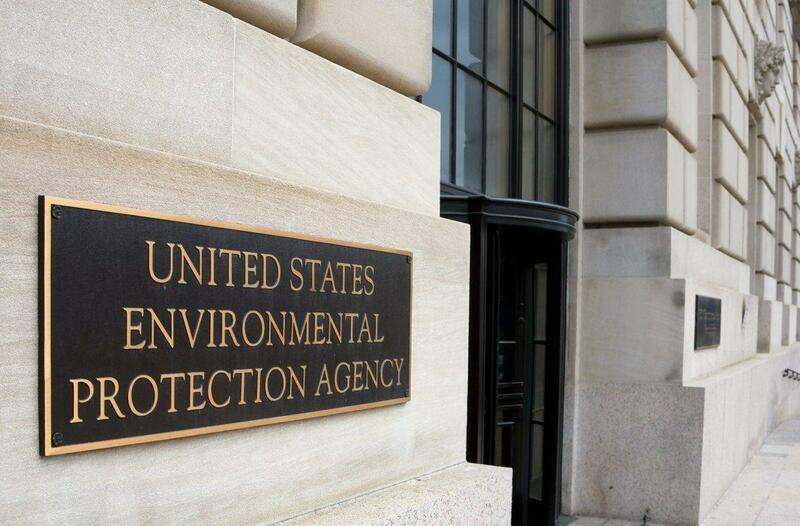 EPA no longer in the “protection” business? The EPA was created during the Nixon administration in 1970 to do as its title says clearly: to “protect the environment.” Pruitt, though, is a former Oklahoma state attorney general who made quite a bit of noise suing the EPA multiple times for the rules and regulations it imposes on businesses in its effort to do as its title says. Pruitt acts as if he is no friend of the environment, although he surely declares that he is. Why remove the link on the EPA website? “We want to eliminate confusion by removing outdated language first and making room to discuss how we’re protecting the environment and human health by partnering with states and working within the law,” J.P. Freire, the EPA’s associate administrator for public affairs, said in a statement. The timing of its removal also is a bit ironic. It came just before this weekend’s series of marches regarding the climate. I know it’s weird to be talking about climate change/global warming on a day when snow is falling in late April on the High Plains of Texas. This kind of weather anomaly gives grist to climate change deniers who no doubt are relishing the very notion of snowfall so late into spring. Of course, the deniers ignore the findings and the theories of a vast majority of scientists and other environmental experts who contend that human activity has contributed greatly to the warming of the planet. Deforestation and carbon emissions created by burning of fossil fuels has been labeled as the cause. Polar ice caps are shrinking, sea levels are rising, worldwide average temperatures are increasing. Is the planet in peril? We can discuss the cause of the changing climate. I’m open to that. What I find discouraging — and shameful — is the elimination of source material from the EPA’s website that allows that discussion to occur. Donald J. Trump keeps ratcheting up his open combat with the federal judicial system. The president wants to break up the 9th U.S. Circuit Court of Appeals because — doggone it, anyway! — the judges keep issuing rulings with which he disagrees. Poor guy. That’s how it goes sometimes, Mr. President. The 9th Circuit has ruled against the president’s ban on refugees seeking entry into this country from majority-Muslim countries. That just won’t stand in Trump’s world. So his solution is to dismember the court, which is based in San Francisco and is considered to be arguably the most liberal appellate court in the federal judicial network. He said lawyers shop for friendly judicial venues and the president believes the 9th Circuit is a favorite forum to hear cases pitting the federal government against anyone else. Conservative courts have ruled against liberal presidents. Indeed, liberal courts have ruled against conservative presidents as well. Have presidents of either stripe been so thin-skinned that they’ve sought to break up an appellate court? Not until this one took office. Leave the court alone, Mr. President. A better option for the president would be to craft laws that can withstand judicial challenge. Federal judges in Hawaii, Washington state and Maryland all have found sufficient fault with the Trump administration’s effort to ban refugees to rule against them. Appellate judges have upheld the lower court rulings. In a strange way this kind of reminds me of when President Franklin Roosevelt sought to tinker with the federal judiciary by “packing” the U.S. Supreme Court with justices more to his liking; he sought to expand the number of justices on the nation’s highest court. He didn’t succeed — thank goodness. To be sure, Trump isn’t the only recent president to bully the federal judiciary. Barack Obama called out the Supreme Court while delivering a State of the Union speech in 2010 over its Citizens United ruling that allowed unlimited political contributions by corporations. The president was wrong to do so — in that venue — with the justices sitting directly in front of him. The nation’s founders sought to establish an independent federal judiciary that ostensibly should be immune from political pressure. The president is seeking to bully the court system through a number of methods: He calls out judges individually and criticizes the courts’ decisions openly and with extreme harshness. The 9th U.S. 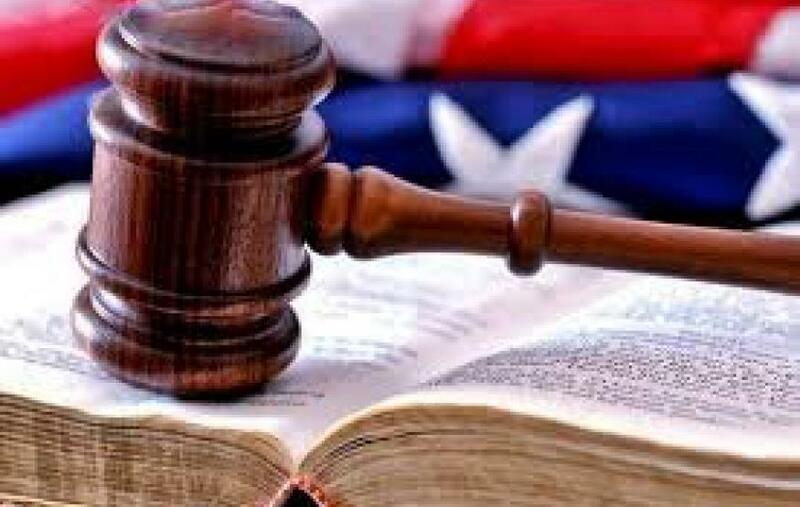 Circuit Court of Appeals needs to remain intact and the president needs to live with the consequences of how it interprets the U.S. Constitution. I’ve known my share of gadflies in the communities where I have lived and worked. You know what a gadfly is, yes? My trusty desk dictionary describes them as “persistent, irritating critics” and “one who provokes or goads”; the third definition describes a bug that bites livestock … which I guess is about as productive as the first two definitions. Politics has its share of gadflies. Amarillo City Hall has had one among its City Council members for the past two years, but Randy Burkett has decided against seeking a second two-year term on the council. Most of the candidates seeking spots on the new council are serious about public service. They are thoughtful and constructive in their approach to governance. I don’t claim to know all of them personally. I’ve met some of the candidates and I have a tiny bit of history with a couple of them. But the city doesn’t need any gadflies sitting on the council, which is why I continue to support a particular slate of candidates and hope they get elected one week from today. Thus, I am hoping for a council that comprises Ginger Nelson as mayor, Elaine Hayes in Place 1, Freda Powell in Place 2, Eddy Sauer in Place 3 and Howard Smith in Place 4. Political gadflies do perform a useful function in communities. They help officeholders stay focused on the issues. The tactic they employ is to gripe about what they consider to be wrong about certain public policy. Governing at every level — from City Hall, to the county courthouse, state capitol, the nation’s capitol and, yes, the presidency — require solutions. They require constructive — as well as critical — thinking. That’s my hope for the next City Council. I want it to comprise individuals who are far more interested in pushing forward solutions than in looking exclusively for the things they believe need repair. I want the council to comprise individuals with a demonstrated record of civic involvement. Amarillo voters in 2015 experimented with significant “change” in city governing policy by electing three new guys to the council. One of them, Elisha Demerson, came to the job with prior governing experience, with service on the Potter County Commissioners Court. The other two were government novices. But the council had a gadfly in its group. That would be Burkett. His presence on the council didn’t always work out. At least one of the challengers running this year qualifies as a gadfly. James Schenck, running for Place 2, keeps saying he knows what’s wrong with city government. I haven’t heard any solutions from him. There need not be any more gadflies taking the oath of office after the ballots are counted next week. We need forward-thinking individuals who know how to govern as a unit. I remain cautiously hopeful, moreover, in the collective wisdom of the city’s voters. I read your tweets this morning in which you excoriated the “mainstream fake media” for its reporting of your first 100 days as president of the United States. With all due respect, sir, you are wrong, the media are correct. Your first 100 days haven’t been the greatest in the history of the presidency as you have stated. The attempt to repeal and replace the Affordable Care Act failed; your effort to ban entry for those from Muslim-majority countries has been struck down twice by the federal courts; you haven’t touched the North American Free Trade Agreement, which you vowed to repeal on “day one” of your presidency. Sure, you’ve signed a ton of executive orders. But you seem to have ignored the criticism you leveled at Barack H. Obama for governing at times via executive fiat. His doing it was wrong, but your doing it is right? Are we supposed to believe that, sir? You’ve gotten into those snits with our allies in Australia, Germany, Mexico and Canada. You’ve decided to launch a trade war — for crying out loud! — with Canada over milk and lumber imports. That leads to success? I don’t think so. Don’t get me wrong, Mr. President. Your dismal first 100 days doesn’t mean you’re doomed to a failed presidency. You can still have success going on from here. I hope you do succeed, sir, but success in my view depends on whether you’re going to work with Democrats in Congress. I’ve tried to drive home the point in this blog, sir, that governing is a bipartisan team sport. It is far different than campaigning for high office. Sure, your base still loves you. I am not one of those who voted for you. I wanted Hillary to win. Here’s the thing: You’re my president, too. I consider you to be duly elected. However, I expect you to take my concerns under consideration as you decide which policies to push. You vowed to “unite the country.” You haven’t done it, Mr. President. So, please stop bragging via Twitter about your self-proclaimed fantastic success. You are imagining it, sir. The reality out here is quite different. Many of us are frightened about what the immediate future might bring. Listen to us as intently as you listen to those who continue to stand tall behind you. Oh, and one more thing: Stop bragging about winning the 2016 election. We get it. True leaders look forward — to the future.